The 90 Litre Brummie Bubbler is a hybrid growing system that effectively combines bubbling and dripping methods to produce stunning results. It delivers feed to a single plant via aerated nutrient solution at the root level and also via an automated drip ring - the latter of which allows you to run the system on full with the plant in place immediately after transplanting. 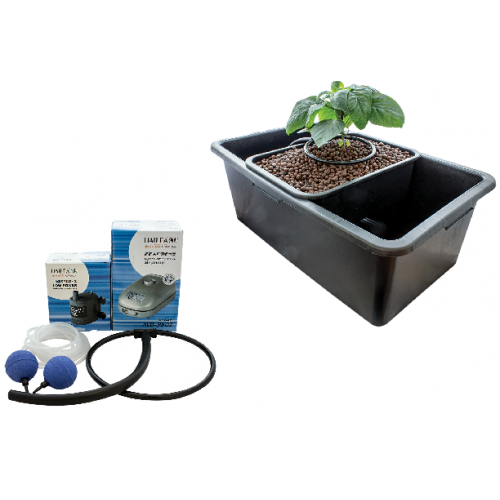 For the first time ever you no longer have to initially hand water young plants growing in a bubbler related set up! It has been featured with high water and oxygen storage capacity Use it to improve plant growth..
Seramis Clay GranulateSeramis are clay granulates that is ever expanding. The nature of the cl..